Time to gather ’round for some rabbit hunting. An award-winning short film has finally arrived online for everyone to watch. The short is titled The Rabbit Hunt, and it won Best Texas Short at SXSW, Best Short Film at the London Film Festival, as well as the Best Documentary Short at the San Francisco Film Festival. "Every weekend, seventeen year old Chris and his family hunt rabbits during sugarcane field burning and harvesting in the Florida Everglades." Made by filmmaker Patrick Bresnan, the film follows this family from Florida on their rabbit hunt, which is a rite of passage for young men. It's short film storytelling at its finest. Thanks to Berlinale for the tip on this. Original description from Vimeo: "In the Florida Everglades rabbit hunting is a rite of passage for young men, practiced since the early 1900s. 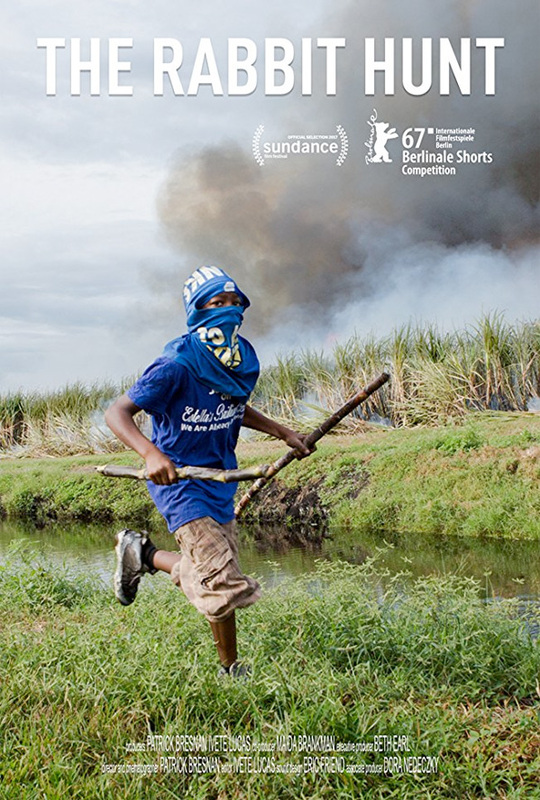 The Rabbit Hunt follows a family as they hunt in the fields of an industrial sugar farm." The Rabbit Hunt is a short film directed by up-and-coming filmmaker Patrick Bresnan, who is also working on a few other shorts. Produced and edited by Ivete Lucas. This first premiered at the Sundance and Berlin Film Festivals this year. It won Best Short Film awards at fests including: SXSW, San Francisco, Melbourne, London, & Florida. For more shorts, click here.